AVAST protects users running Internet Explorer. Microsoft announced a new vulnerability in Internet Explorer, which allows attackers to execute code remotely, ultimately giving them full control over a PC. The vulnerability targets Internet Explorer versions 6 through 11 and was published under the name CVE-2014-1776. Out of all the Internet Explorer users, Windows XP users are most vulnerable as Microsoft recently stopped supporting the operating system and will therefore not issue any security patches, including one to fix this problem. AVAST gave its word to Windows XP users that it would continue to protect them: AVAST has issued a new definition update which addresses this specific Internet Explorer vulnerability, protecting its users running Internet Explorer. On April 8, 2014, Microsoft ended its support for Windows XP, terminating automatic updates to the operating system, and even worse it will stop providing anti-malware signature updates as of next year. It’s remarkable that it has only been three weeks since the cut off and its users are already being confronted with a major security flaw, which will affect and put Windows XP Internet Explorer users at risk the most... Will this now make Windows XP users migrate? Prior to the Windows XP support end date, AVAST committed to supporting Windows XP by creating protection modules and detections specifically designed to cover XP vulnerabilities and security problems for at least the next three years. Currently 45 million of our more than 200 million customers use Windows XP. Of those 45 million, more than 20% run Internet Explorer and our latest update 140428-1 covers them from the CVE-2014-1776 Internet Explorer vulnerability. Even with the update, we urge Windows XP users migrate from Internet Explorer to another browser. 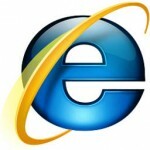 The latest version of Internet Explorer available on Windows XP is version 8, making it outdated and lacking a number of security improvements that were already unavailable before the official support end date. We recommend Google Chrome as an alternative to Internet Explorer, as it is fully compatible with Windows XP, updating itself automatically. Windows XP users aren’t the only ones at risk. We recommend users always use caution and think twice before opening any links. This particular flaw accesses deleted or misplaced objects in memory, thus corrupting the browser’s memory address space. This in turn gives attackers the opportunity to execute code remotely by hoaxing users via email or instant message to visit sites specifically designed to exploit the vulnerability. Once Internet Explorer users click on the malicious link, attackers can gain the same user rights as the person currently logged into Windows. This means if someone clicks on the link while logged into Windows in the administrator account, the attacker would have full administrative control over the PC and the data on it. AVAST believes that everyone has the right to protection while using the Internet and therefore offers Windows and Mac users free antivirus. We are devoted to supporting all of our customers and do not believe in turning our backs on Windows XP users. All AVAST Antivirus users with virus definitions 140428-1 or newer are protected against the CVE-2014-1776 vulnerability.